"If my life was a movie, no one would believe it," the actor says. 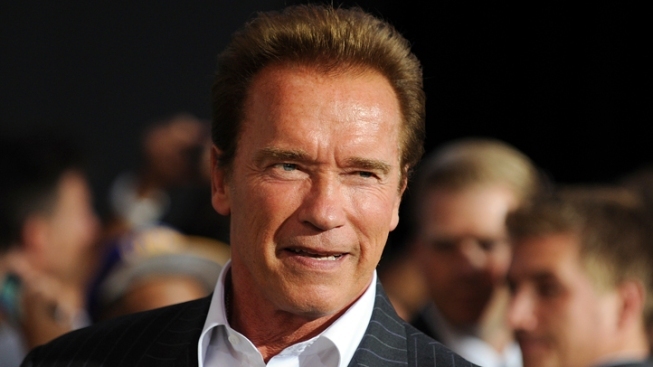 Arnold Schwarzenegger's memoir "Total Recall" will be released Oct. 1. Not to be confused with Arnold Schwarzenegger's 1990 movie--or the recent reboot starring Colin Farrell--"Total Recall" (in stores Oct. 1 from Simon &Schuster) is the former bodybuilder-turned-Hollywood actor-turned-California governor's memoir. "If my life was a movie, no one would believe it," Schwarzenegger says. "The directions I've chosen, the careers I've conquered." Maybe, maybe not, but we won't find out just yet. In this book trailer, the actor shares a brief overview of the different ventures and paths he's taken throughout his life (with flashing lights and suspenseful music) and ends it by saying, "But this story you know. So are you ready for the story you don't?" Are you excited for the Governator's memoir?